The Keurig Kold in action at Keurig Green Mountain Inc.’s Burlington offices. Keurig Green Mountain launched a sleek new machine this week that turns syrup, water, and carbon dioxide into a chilled Coca-Cola in about a minute. The Waterbury, Vt., company spent six years developing it, interviewing thousands of consumers, tapping former aerospace technicians for expertise in thermodynamics, and hauling a crude prototype to meetings with its board of directors and investors to prove that it actually worked. The product took so long because Keurig had to build or even invent the technology to run the machine, said Brian Kelley, chief executive of Keurig Green Mountain Inc.
“If you put a drink in a refrigerator, it would take a few hours to chill,” Kelley said. “We have to do it in less than 90 seconds. It takes a lot of technology to carbonate, blend, and dose perfectly.” Kelley added that Keurig acquired 50 patents for the machine and portion packs, with another 100 pending. The process began when Keurig said it had heard from customers who wanted a machine similar to the hot coffee brewer to make cold drinks at home, Kelley said. A key goal was that the machine had to do all of the work — no measuring ingredients or replacing gas canisters. All the consumer has to do is push a button. 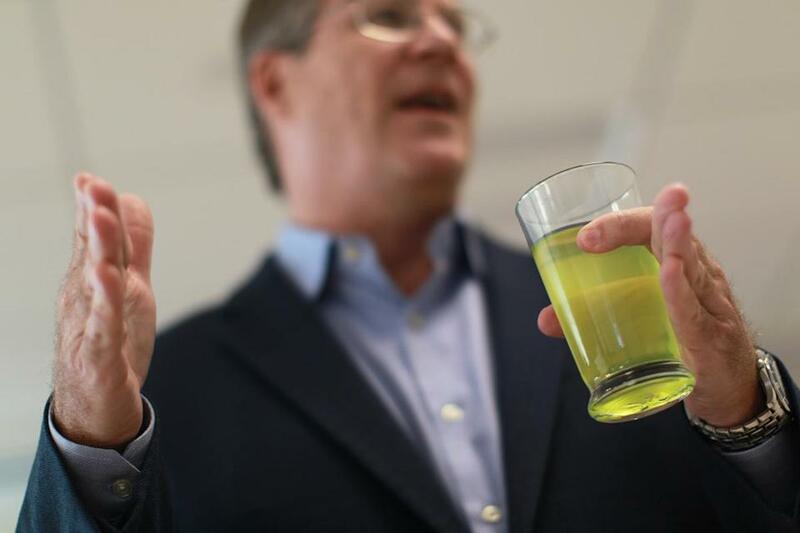 “It takes a lot of technology to carbonate, blend, and dose perfectly,” says Keurig Green Mountain chief executive Brian Kelley. Prices — $369 for the machine and more than $1 for each 8-ounce drink — may dampen the debut of the cold soda and beverage maker. So the Keurig Kold features a two-pack pod, one with the flavored syrup for the drink, the other with beads impregnated with carbon dioxide. The Kold machine first pulls water from its reservoir into a chiller that brings it to about 35 degrees, said Tara Murphy, a senior vice president and general manager of Keurig’s Kold systems. Then the carbonated beads release carbon dioxide to mix with the chilled water. “When that achieves the perfect carbonation level and temperature, as well as the right volume, it knows to dispense the carbonated water and then the syrup,” Murphy said. Murphy said Keurig tested the machine for 10,000 cycles, or drinks, conducted qualitative and quantitative research, home-use studies, sensory studies, and other observations with thousands of consumers. 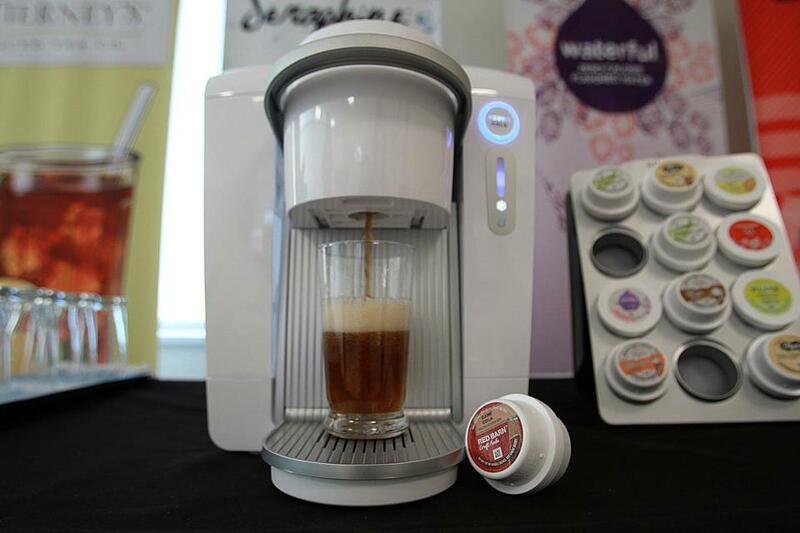 But the real test came when Keurig tested a prototype of Kold before executives of the Coca-Cola Co. in late 2013. Neither company would go into details about what happened, but apparently the sample was tasty enough that in 2014 Coca-Cola invested $1.25 billion in Keurig to help develop the cold drinks machine. 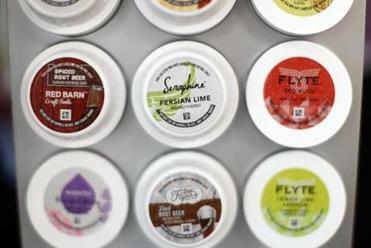 The soda giant now owns 16 percent of Keurig. Coca-Cola declined to comment, but the company posted an interview on its website with Deryck van Rensburg, the president of Coca-Cola/Keurig Ventures. Keurig said it spent more than a year working with Coca-Cola to perfect the taste of its Coke, Sprite, and Fanta brands, which launched in pods with the machine on Tuesday. The Keurig Kold machine, priced at $369, takes around one minute to chill, mix and carbonate soda.